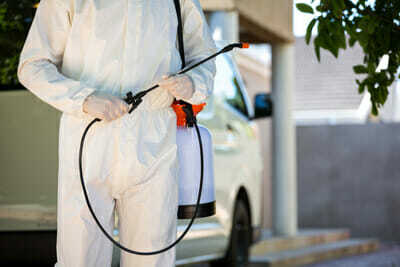 You have looked at pest control companies in Las Vegas and uncertain which one to choose. You need the best overall service as you might have more than one pest infestation. Here we have selected the best for you ranked number #5 to #1. The pest control company is a small family business that provides you with the safe and effective methods to deal with your pest infestation. They guarantee their services and offer a free estimation. They offer you a variety of pest control services from roach, bed bug, spider, and ant killer treatments. Furthermore, they can take care of your bees, hornets, and wasp infestations and rid the home of termites, rats, and mice. Custom Pest Control you can find in Nevada Las Vegas, and they are open from Monday to Saturday to take your call. If you want a pest-free home or business Enviro Safe Pest Control, have different techniques to handle any infestation. They have been around since 1996 servicing commercial and residential areas in Henderson. The company is NPMA certified to offer you both QualityPro and GreenPro plague treatments. They have a protocol in place to help commercial businesses and have a long list of services to keep homes pest free. They can help eliminate ants, rodents, spiders, scorpions and more. You can check out the reviews on Google+ if needed. Another Henderson and Summerlin pest exterminator company that has been around since 1999 is Progressive Pest Control. They cater for the residential and commercial businesses to keep the premises pest infestation free. They use EPA registered pesticides, traps, baits and more and their technicians are state-licensed and trained. Some of their pest control services are bed bugs, cockroach treatment, pigeon control, and scorpion control. You can find special price packages and maintenance services with them. Crispy Critters Pest Control charges different fees starting from $40 and up depending on the inspection they do. They serve the Boulder City, Henderson, Pahrump and Moapa Valley area. Once they complete treatment, they present you with a No Pest Guarantee with their monthly service. They deal with both residential and commercial businesses, but their biggest market is Realtors. They use up to date pest control methods, and all their technicians have a license with insurance. Their consultations free and offer a 100% satisfaction guarantee. Pest Control can take care of bed bug infestation, pigeon control, bee removal, rodents, ants and more. For HOA Pest Control they are the best for retaining a high standard in your neighborhood. For the commercial business side, they offer unique services specially made to suit their needs and environment. Their estimates are free and guarantee their methods are humane, environmentally friendly, and tried & tested.